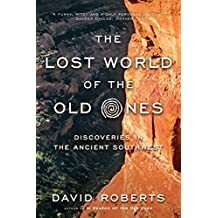 I haven't even finished reading this book, yet it has inspired me to re-visit Nine-Mile Canyon (near Price, Utah), and many other places in the southwest. The author, David Roberts, isn't grinding any axes, except that the pictographs and other artifacts of "Indian Country" must be preserved; and people kept from trespassing on sacred grounds. The book is full of stories of the various tribes, ancient and modern, who have inhabited and currently inhabit the areas of Arizona, Utah, Colorado, and New Mexico. It includes stories of the Navajo forced march from their homelands and their return, and some of the secret hideouts that kept them safe from marauding soldiers. Roberts is careful not to disturb sites, careful to document his travels, but also careful not to disclose the locations of places thieves may want to desecrate and rob. I recommend this book, and will loan my copy to anyone who's interested, especially if that person or those persons would be willing to take a trip with me to one or more of these amazing sites. 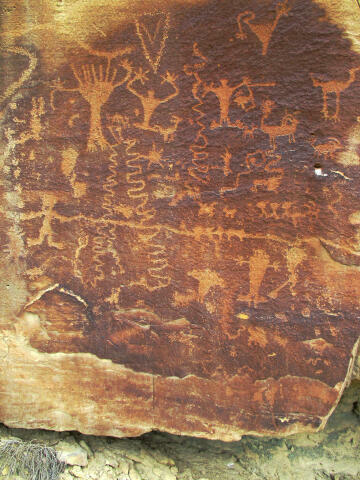 Yes - Nine Mile Canyon is very remote, but apparently the largest collection of "rock art" or pictographs in the world.